The Gilpin County Sheriff's Office said he died of smoke inhalation. 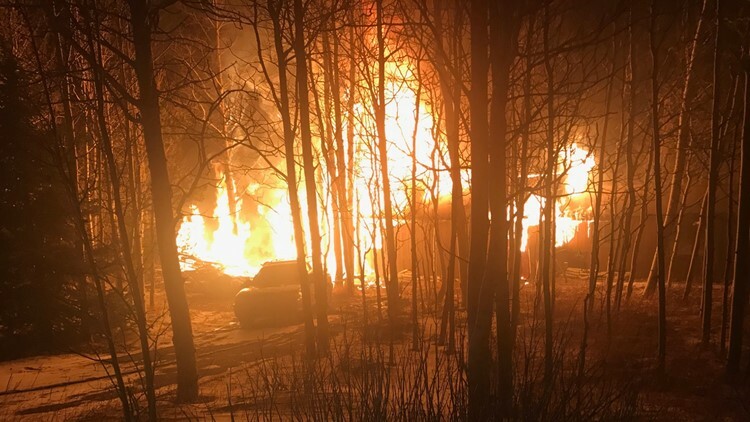 The Sheriff's Office said just before 8 p.m., 911 dispatchers received multiple calls about a home on South Dory Lakes Dr. fully engulfed. Timberline Fire Protection arrived and saw flames shooting through the roof and out of the building's windows. Central City Fire, Coal Creek Fire, Golden Gate Fire and Nederland Fire were called to help put the fire out. The fire was deemed under control at 8:47 p.m. Once the fire was under control, firefighters entered and found Lindberg's body inside. The Gilpin County Sheriff's Office and state fire investigators are looking into what caused the deadly blaze. South Dory Lakes Drive is located near Highway 119 and Golden Gate Canyon Road not far from Golden Gate Canyon State Park.